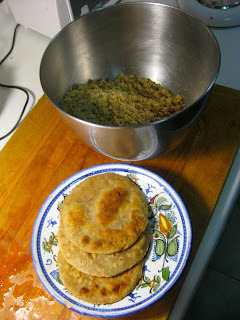 When well kneaded, make thin flat cakes. Heat a large clay or stainless steel frying pan. Add 1/8-1/4 c butter to grease the bottom of the pan. Fry the cakes until they bind like pancakes. Do not over cook. Its not Red Wine but Rose Petal Syrup! Pound them with sweet almond oil or fresh, melted and clarified butter. 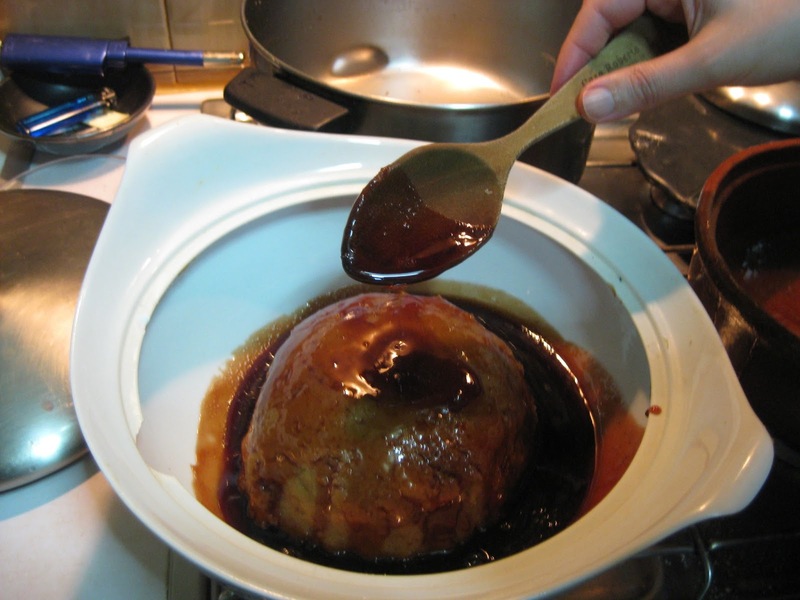 Make a dome shaped loaf like a sugar loaf and put it in a large dish. 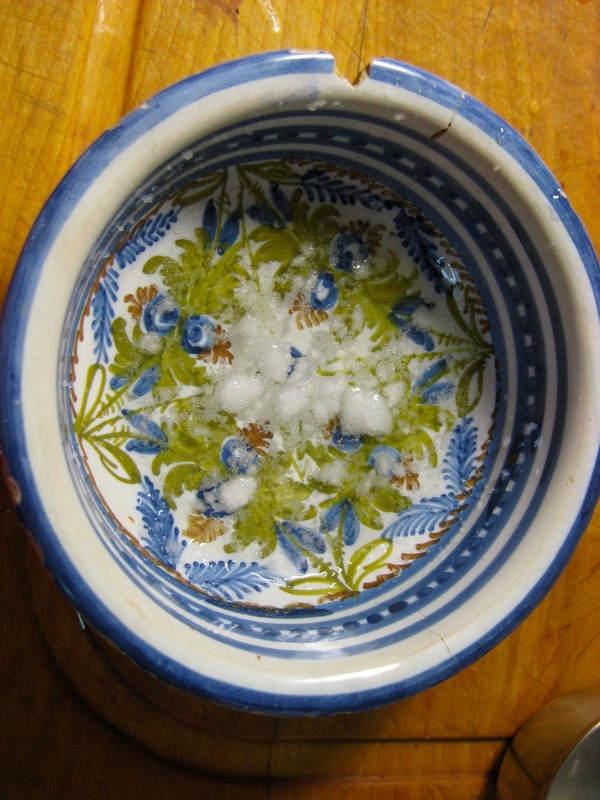 When ready to serve pour almond oil, fresh melted, clarified butter or rose syrup over it. Place all ingredients in a heavy pot. Simmer for 1 hour. Strain and discard the petals. Heat the syrup until the desired thickness is reached. Pour this over the almond loaf and serve. It is easier to put them through a meat grinder and add the liquid after that.